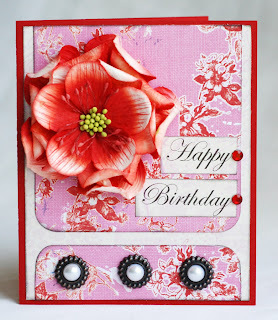 Welcome to the second stop of the Creative Charms Blog Hop. I am so glad you are here. :) If you did not start at the Creative Charms blog make sure to head back there first so you don't miss an opportunity to win some great prizes. There are several different ways you can win this weekend! Leave a comment here. I will be picking three different winners this weekend but also Midori will be randomly be stopping by the blogs of the design team members and picking a winner also. Become a Follower of my blog. Make sure you let me know in your comment. Already a Follower, let me know that. Leave a comment on the final blog in the blog hop for a chance to win the big prize. In honor of Breast Cancer Awareness Month, I thought I would share some of my favorite PINK Creative Charms projects with you today. This box sits on my scrapbook table and holds some of my hundreds of buttons. 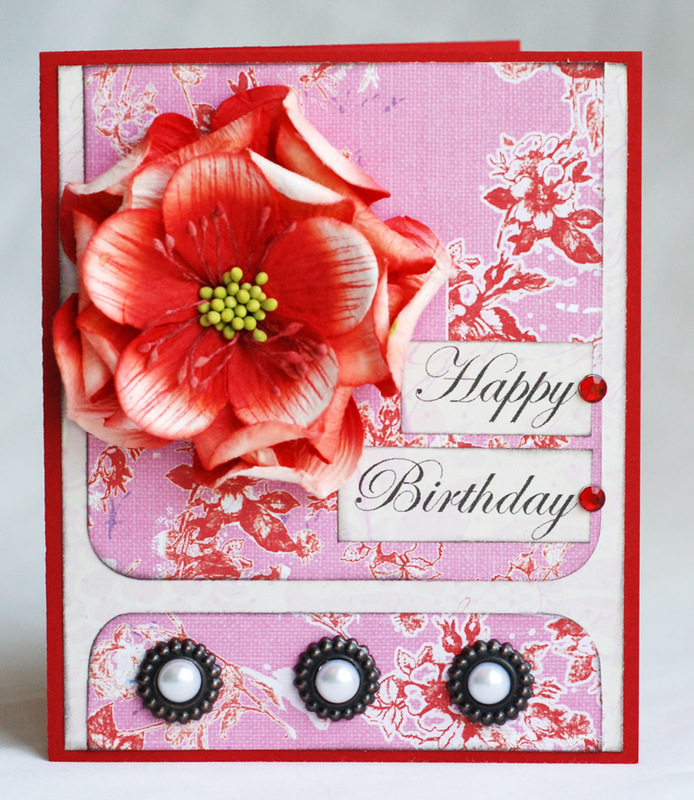 I used some yummy Vintage Jewel Brads and Gradient Pearl Stickers on this one. A mini album I made for my Brother-in-Law and his wife right after their sweet daughter Sarah was born. Mmmm...LOVE red and pink together. One of my favorite layouts. This is my sweet oldest daughter, man I am blessed the two BEST girls in the world. 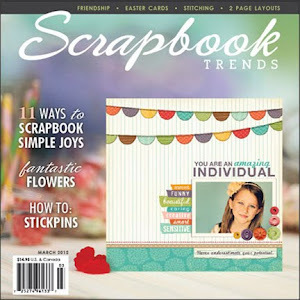 This layout was in Scrapbook Trends Magazine a few months back. This distressed gift box was created using the pink kit from last year. This is going to be one of the prizes I give away. I plan to load it up with lots of chocolate and send to one lucky winner. 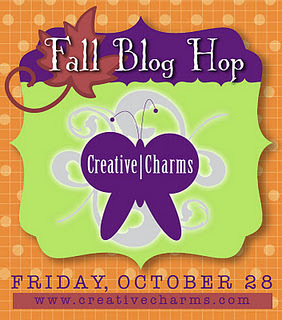 I also plan on giving away some of my favorite Creative Charms products as other prizes. Thanks so much for stopping by. Make sure you head to the next stop on the blog hop Kristal. Have a fun and safe Halloween everyone! Your blog is DELICIOUS!! After the hop, I scrolled through and have become a follower. I really enjoy your writing style and sense of humor, as well as the design and airiness of your blog. OK, on to your projects. What YUMMY boxes you've made (and I'm not YET referring to the chocolate you're going to put in them!) They are sweet and precious. I love the layout of one of your daughters too -- I think I remember seeing that in one of the mags I read. Again, your style girlfriend ... makes me want to be YOU!! Thank you for sharing -- OH, and I loved, loved, loved your Halloween cards. Gonna go back and enjoy them again. I was so taken aback by the lusciousness of the pink that I saw, enjoyed and need to go back!! Wow - your projects are amazing as always! Thank you for sharing them with us. I have been a follower for quite some time now and I love your blog! Awesome projects! Already a follower! Thanks for sharing your wonderful talent with us! What gorgeous projects!! The boxes and the page omg!! Love it! I became a follower, and I love the detail in the baby book. Love your creativity and all of those projects are just wonderful! Thanks for sharing! NJew follower! I just love the boxes you created! I plan to do more of that kind of papercrafting for Christmas this year instead of just wrapping gifts. Thanks for the inspiration. Hello Lisa!! I am a new follower and new to the blog hop!! Im so excited to see all the projects and revive my creative juices!! I absolutely LOVE your pink and red color combo as well!! The boxes are great and the layout with your daughter is superb!! Thanks so much for sharing with us all! Love all of your projects...they are stunning! I'm now your newest follower. Thanks for sharing. I would love for you to stop by and visit sometime. You spent so much time creating that I have to say...thank you for taking time to share with us. This takes a lot of work and it is very much appreciated. WOW, these projects are so beautiful and creative!! WOW. I'm a new follower!! So nice to meet you! You are truly talented, I am going to become follower. Your projects are beautiful. I love the little boxes. So girlie :). I'm a new follower. I love the button box, super cute and functional. These are seriously amazing projects, I think I get to that last altered box and I'm completely blown away!!! Your work is so Pretty! Love that cute box! And I love Creative Charms! I just subscribed to your blog. Your designs and projects are beautiful. So happy to be following your blog now. all of your projects are so cute. i especially love the layout of your daughter. Your projects are beautiful. My favorite is the lo with your daughter. That is absolutely gorgeous. I love your red and pink card! Enjoying the blog hop. I just became a follower of your blog. I think all your projects were amazing. New follower here. Your projects are wonderful! 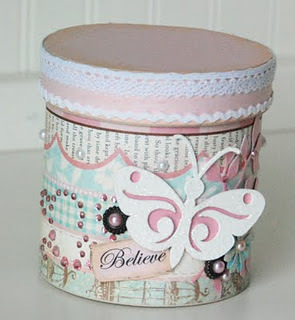 Love the way you decorated the boxes and also your use of the Creative Charms products. Thanks for the chance to win. Beautiful and gorgeous projects! I am a new follower of your blog! Looking forward to more! What beautiful projects you had to share with us! Pink & red are beautiful together :) Thanks again! LOVE your boxes Lisa, but I really adore those jeweled brads/charms, they're so delicate looking! I thought I was already following your blog, but re-submitted to follow, have a great week-end! Wow, those are some fabulous creations. I love the boxes. TFS. I love the "pink" products for breast cancer. My cousin and 4 friends, one of whom was my matron of honor, have all battled breast cancer. One friend lost her battle and another got to go up Mt. Everest! All are/were special people to me. Thanks so much for sharing! Pink and more pink and so NICE! What spectacular projects. I can't even pick my favorite as I love them all. I became a follower today. wow you have done a beautiful job on everything I love the idea of thr Tin. love the colors and the papers are great. your Crative charms give that pop factor. thanks for sharing and for the chance to win. What beautiful projects. Just became a follower! I am a new follower and really like your designs. 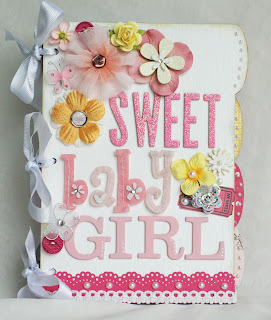 I especially like the distressed pink box and the sweet layout of your oldest daughter. Thank you for sharing. Fabulous projects!! They are gorgeous. I became a follower and can't wait to see what else you create. What lovely projects, thanks for sharing them in this post!! GORGEOUS creations!! Love all of them! Just beautiful!! I am now your 100th follower! I love your projects using the breast cancer kit. I have been buying creative harms for awhile but have never visited the design team blogs before. Wow so glad this blog hop prompted me to do that. This is the first time I've visited your blog, it's wonderful. I'm signing up to be a follower. Lisa love your work ~ everything is just beautiful!! have been a follower for a while!!! Loved your daughter's layout. 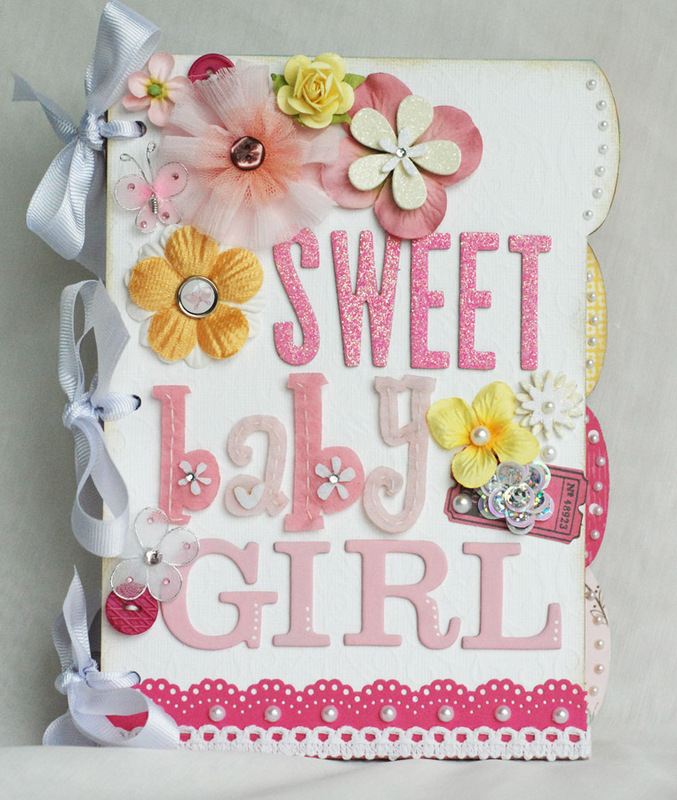 Made great use of the beautiful paper with a few well-chosen embellishments. While there are no girls in my family I adapt great ideas like this for my heritage album. Thank you for sharing. 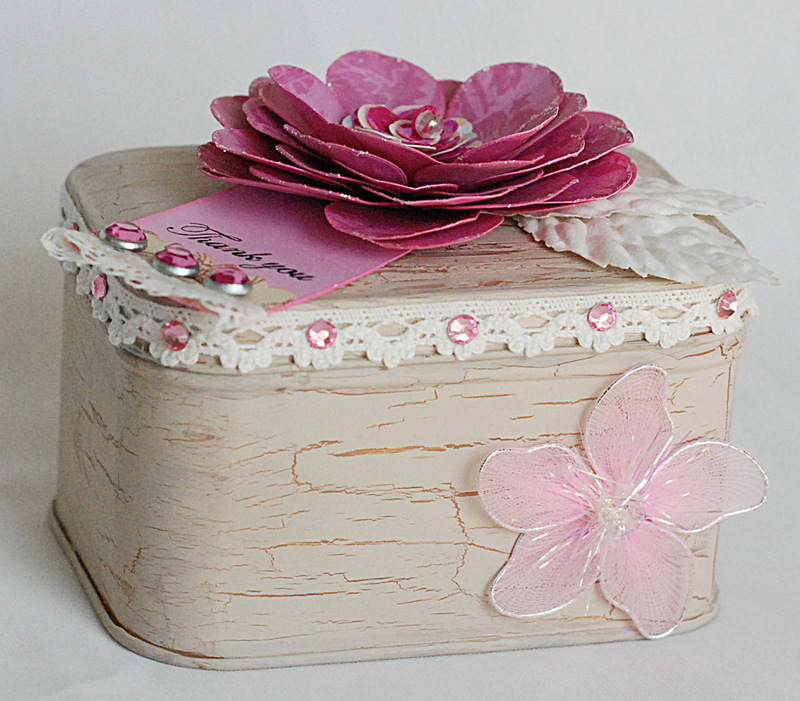 Love your button box - so pretty. New follower - glad I found this hop to find your great ideas. Hi Lisa - I just got a chance to stop by and follow the rest of the hop. Your pink projects are great - I think the birthday card is my favorite! 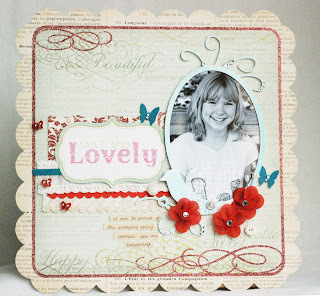 Lovely projects using creative charms products! I just became a follower. lovely projects!! I agree, the pink and red are stunning together. So, now I Follow, I Like, and I am a fan!!! So much lovely pink! Gorgeous work as usual. Love all your projects and of course the colors are great! The boxes are wonderful! Love, Love, Love. Here for the hop, will come back because your art is gorgeous! Love the soft colors you are using now. That baby mini album is so pretty! Thanks for including me in your followers list! Oh such goodness here! I love all your pretty projects!! Beautiful projects, Lisa! I love how you decorated the tins. I also think that red and pink are a beautiful combination. I am a follower also. Very sweet works!!!! thanks for sharing your nice ideas! beautiful projects. Love the dimesnion and textures you get on all your creations. great color choices. Thank you fo rsharing and a chance to win. Im a new follower. Wow your work is beautiful and I am a new follower. Already a follower of your blog. Beautiful projects! So beautiful, Lisa! LOVE your projects. That layout is absolutely stunning! WOWZERS!!! All your projects are beautiful. Man!!! Can you rub off a "little" creative genius on me? Please? Yes, I'm begging. :D TFS!! !